We like to think of the Brits as reserved and refined, and with their perky boy bands and chic princess, it's easy to forget how creepy they can be. The Humboldt County Library is here to remind us how weird it can get across the pond with its October film series, "Keep Calm: Paranormal England." First up on Oct. 1 at 6:30 p.m. is The Innocents, hosted by Michael Logan. 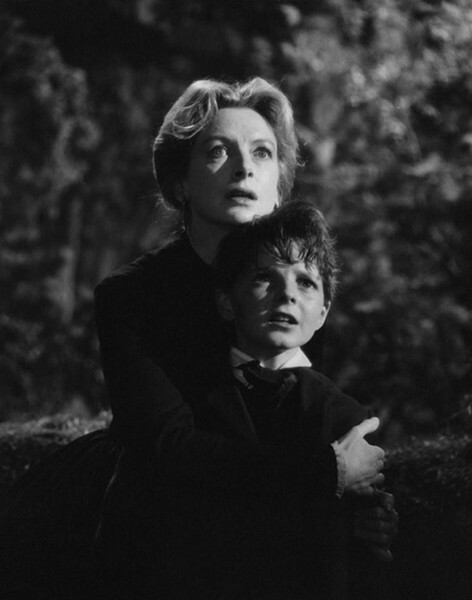 It stars Deborah Kerr and is based on Henry James' The Turn of the Screw, a gothic novella in which the governess of two eerie little children starts to think they might be possessed. Fix that one, Super Nanny. Somebody needs a timeout in The Innocents. Next Michael Logan hosts Night of the Demon on Oct. 8. Adapted from "Casting the Runes" by M.R. James and directed by Jacques Tourneur, this one features a doubting Yank psychologist who's looking into a colleague's death and develops the heebie-jeebies from a local occultist. On Oct. 15, it's the much lighter Blithe Spirit, which is based on a Noel Coward play and is directed by David Lean. Married Rex Harrison has a medium over and accidentally brings back his dead wife's ghost. Awkward. Hosted by the blithe Bob Doran. Finally, on Oct. 29, Dorothy Macardle's Uneasy Freehold comes to the screen as The Uninvited, a spookier version of House Hunters International. Michelle Cartier hosts this film about a brother and sister who realize their real estate bargain needs work — like an exorcism.